* 12h00: Get a room at The Coast Hotel and rest. 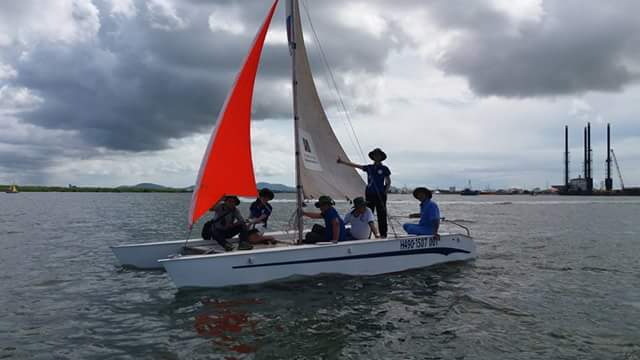 * 1430: visit Dinh River Bay, learn sailing skills. 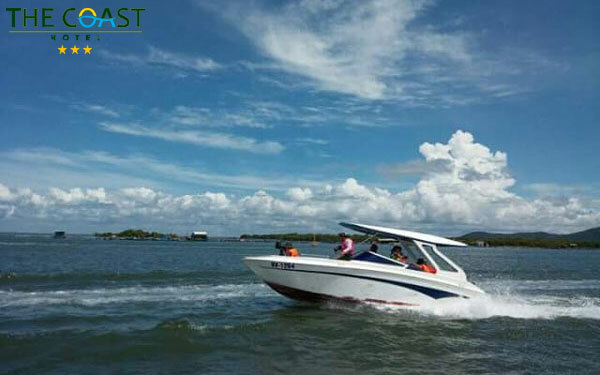 * 15h00: Get on a boat, cruise Dinh River bay, Go Gang island - new exciting experiences of the coastal city. Mooring at Go Gang island for swimming. Visiting salt fields and taste grilled oysters on the spot (02 oysters / person). * 17h00: sailing back to harbor, and get on bus back to the hotel. * 18:30: romantic dinner for 02 people at The Coast Hotel restaurant. 2. Chicken innards fried with loofa and green bean sprouts. 3. Bok choy fried with oyster oil. 5. Bitter melon and fish cake. Transport: boat,bus with quality standards for tourism. Cold towels and mineral water, travel insurance. Guides are enthusiastic, attentive service throughout the tour. Expenses outside the program, entertainment service, personal entertainment. Children under 5: Free service, sleep with their parents; family pays for meals; Two adults accompanied by 01 youngster, the 2nd youngster or more will cost 50% of adult fare. Children from 5 to 7 years old: 50% of service price, with meals, entrance fees, seats on boat. Sleep with parents. Children 7 years and older: Charged as adults.